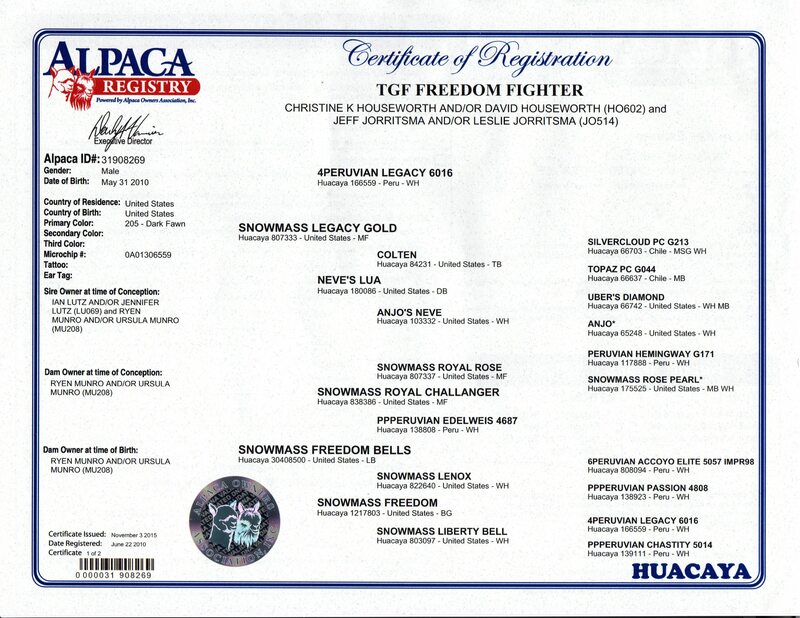 TGF Freedom Fighter, while a champion in his own right, his off spring have been doing extremely well in the show ring. 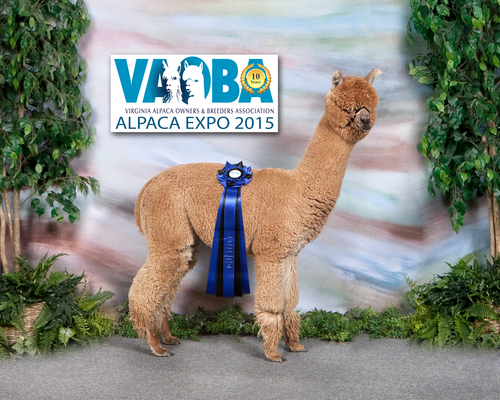 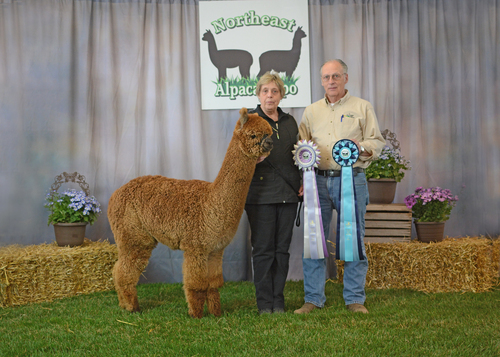 Russell Alpaca Acre's "JJ American Honey" has also won several blues and Championships. 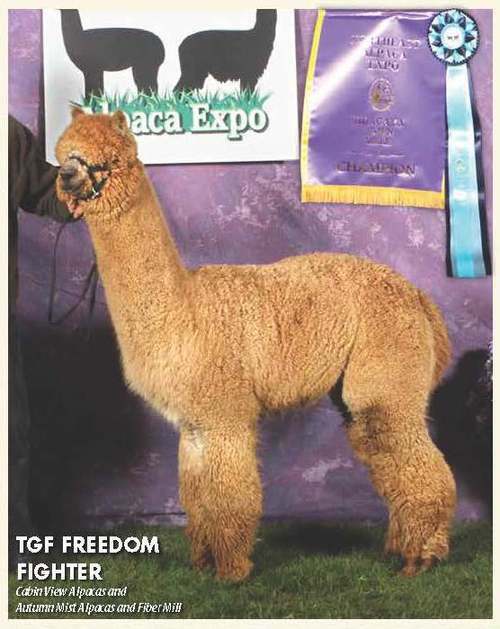 This was just his first year off spring. 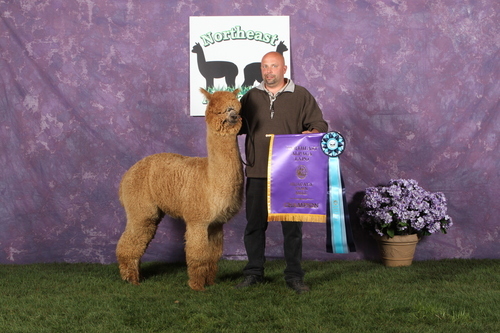 Can't wait to see what he produces in 2016 as we have him bred to one of our top foundation girls. 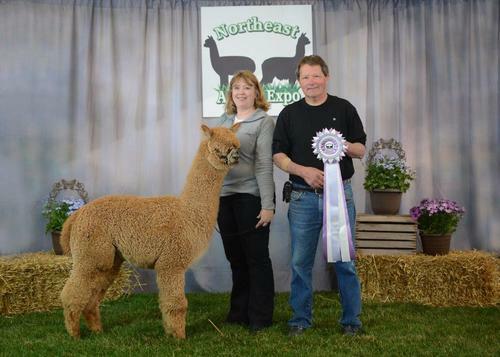 Freedom Fighter is now in Virginia at Pactamere Alpaca Farm for the winter-book your breedings now!